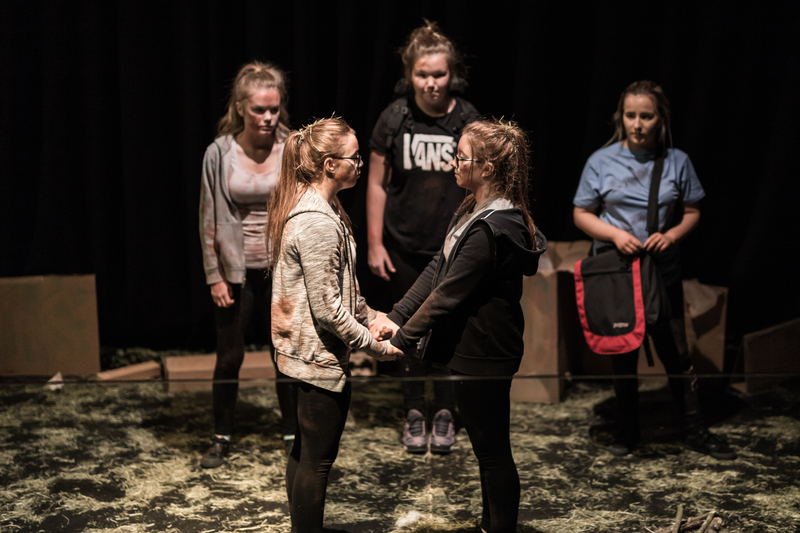 Since September 2017, The Customs House Youth Theatre have ran an after-school youth theatre at Jarrow School giving pupils the chance to develop their theatre and performance skills. It is part of a three-year project which is generously funded by Hays Travel Foundation. They did their first show in September in The Studio Theatre at The Customs House. It was a dystopian themed piece written for the group by Laura Turner called The Dome. All of the cast really loved performing, and being at The Customs House. The audience was made up of staff and families of the cast, who were so proud of the cast. 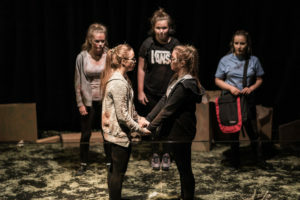 They are now working on Connections 19; each year the National Theatre commissions ten new plays for young people to perform, bringing together some of the UK’s most exciting writers with the theatre-makers of tomorrow so we’re excited to be working on this! For more information on this, or about youth theatre at The Customs House, please contact Fiona Martin: fiona@customshouse.co.uk.